Comments: BRAND NEW A portion of your purchase of this book will be donated to non-profit organizations. Over 1,000,000 satisfied customers since 1997! We ship daily M-F. Choose expedited shipping (if available) for much faster delivery. Delivery confirmation on all US orders. 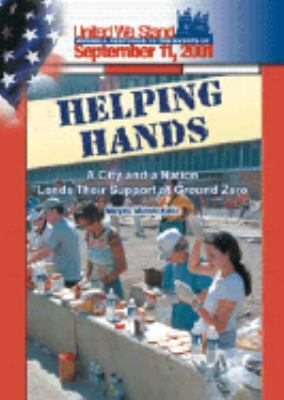 Examines the events and aftermath of the September 11, 2001 terrorist attacks, focusing on the aid given to the relief effort by local citizens and others across the nation and beyond.Kjelle, Marylou Morano is the author of 'Helping Hands A City and a Nation Lend Their Support at Ground Zero' with ISBN 9780791069592 and ISBN 0791069591. Loading marketplace prices 11 copies from $5.54 How does the rental process work?